I tried to add Gmail POP manually ( without referring any information ) to outlook and create several issues such as duplicated outlook email and loading all my Gmail ( about 3Gb )... My goodness! Because I checked "Leave a copy of message to mail server"
So here we have a better way to do it! 2. You can refer the settings above, depend on your needs. 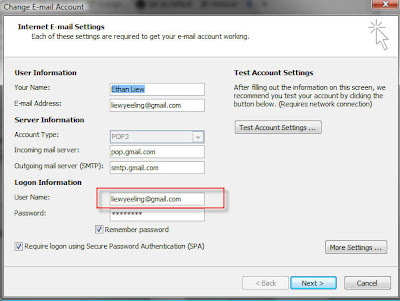 Disable forwarding because I am not going to forward my gmail to other account. Probably you will need the second check box if your Gmail message is large! Second option will only retrieve the new Gmail from the time you set it. c. Choose 'Archive Gmail copy' . This option will help you leave a copy into your 'ALL Mail' in your Gmail. 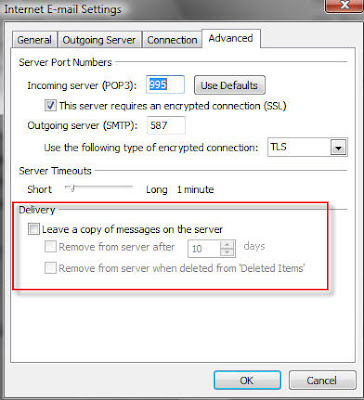 Thus, NO NEED to check the outlook 'Leave a message on server' option. You should read the configuration part to get further information. Thank Gmail for POP3 service !! Did you feel your task bar full of application? Probably you have outlook turning on all the time to receive email. So, to hide or remove or get rid of it? 2. 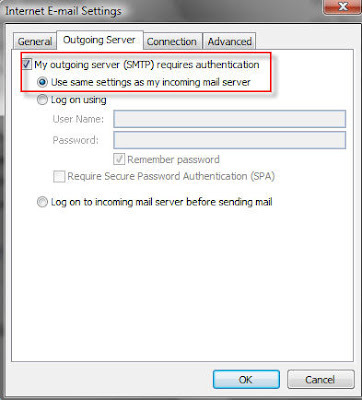 Tick the "Hide When Minimized"
In order to get an existing html signature file added to Outlook 2007 there are several steps to take that are very different from previous versions of Outlook. 2) Create a new signature and give it a meaningful name. Press Ok.
3) Open up an explorer window (win + e) and navigate to C:\Documents and Settings\User name\Application Data\Microsoft\Signatures. If you can not see the Application Data folder you need to show hidden files and folders. right click > open with. Remove the contents of this file and replace it with your html signature code. Save this file, file > save. 5) While you are in here it wouldn't hurt to make the text version of the signature look like you want it to as well.